These look like tasty cookies. They were made for the Google I/O event, but they look homemade. 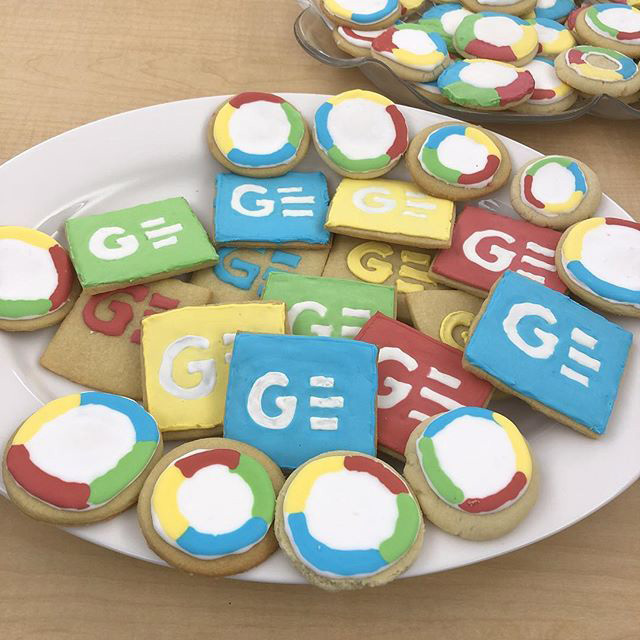 Vladimir posted a photo of these cookies on Instagram and wrote "Google IO from my office to yours!" How nice.